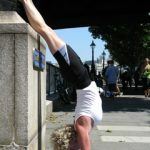 Our website address is: http://southbankyoga.co.uk. We use measures such as https encryption; security measures such as two factor authentication. We change user passwords and do not carry data. Payments are all on secure servers in the cloud through your bank or your PayPal.